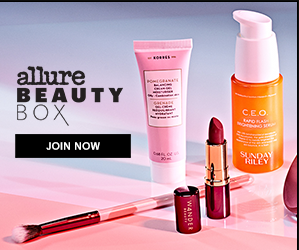 Sign up and receive Allure’s monthly beauty box offers top-trending, editor-tested makeup and beauty picks with a $50-$90 value for only $15. Allure’s monthly beauty box features luxury beauty products selected by Allure experts. Each box will include 5 editor-curated products in deluxe size, with a total value of at least $50. In addition to the tried-and-tested products, your box will always include an Allure Beauty Box mini-magazine, featuring a letter from the editor, product reviews and tips for each product. New members also receive a special gift. Allure Beauty Box membership fee includes shipping! Monthly $15 PER MONTH – PLUS save $5 on your first month when you subscribe today! Yearly $150 PER YEAR – SAVE $30 off the regular yearly price when you subscribe today! Gift $45–$150 OPTIONS – CHOOSE 3 month, 6 month or 1 year options when you give a gift!